Happy Tuesday! 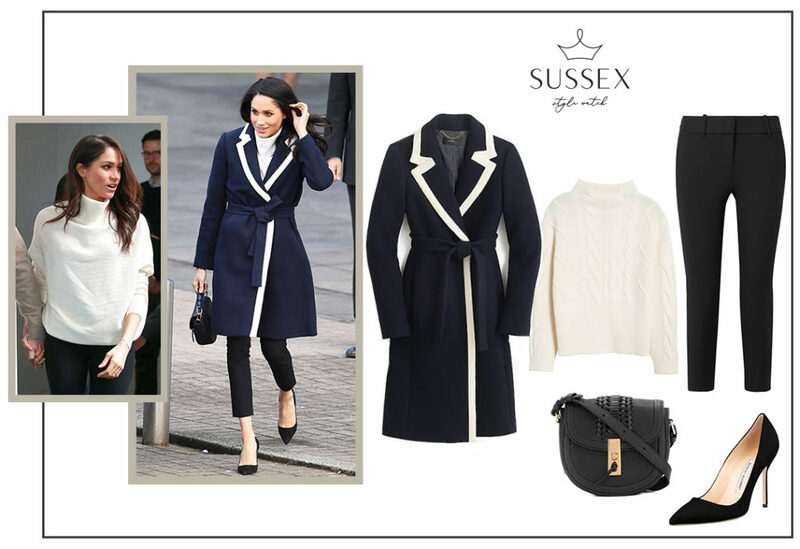 Today we’re throwing it back to this chic winter look Meghan wore on a visit to Birmingham with Prince Harry in March of last year. The engaged couple attended an event for International Women’s Day on March 8th, then they visited Nechells Wellbeing Centre and met with Coach Core apprentices as they were taking part in a training class. 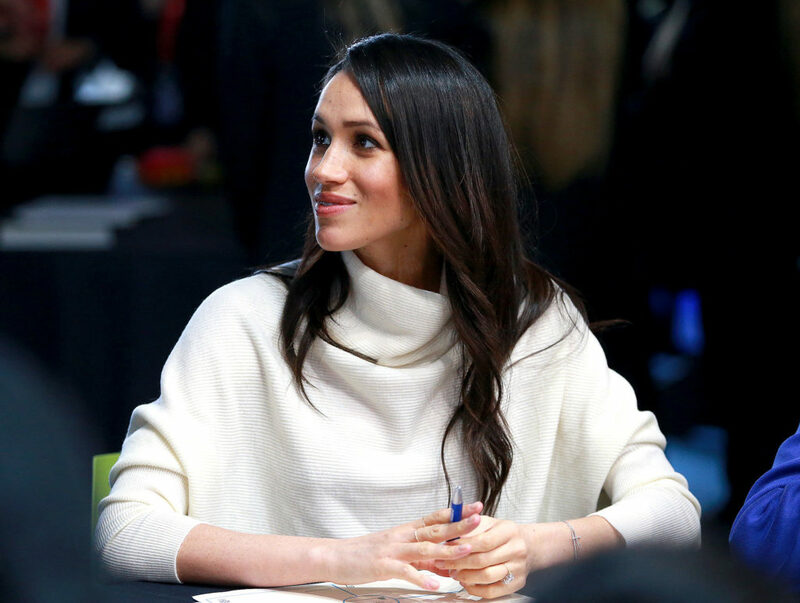 For the occasion, Meghan opted for a smart look of skinny pants, a creamy funnel-neck sweater, pointy-toe pumps and a pretty J.Crew coat! 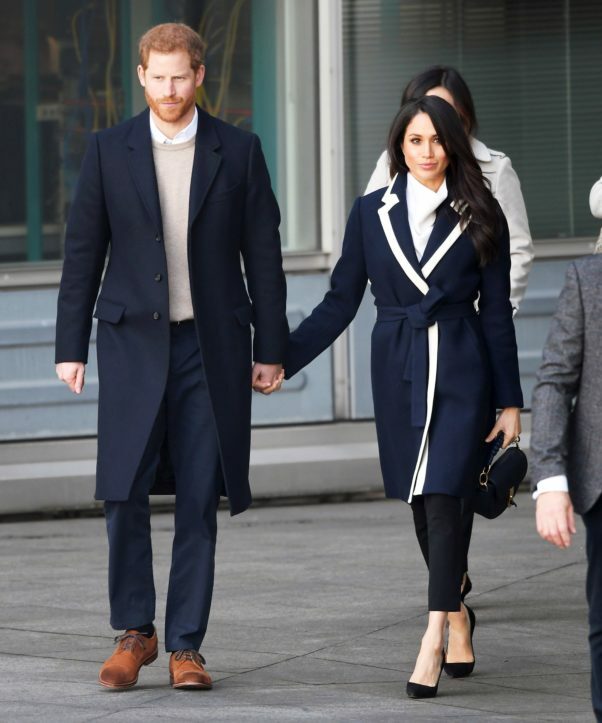 The coat is nearly sold out on J.Crew but there are a ton of them available on eBay in a variety of sizes. Click here to see the sizes available… Her tailored and cropped skinny pants are T by Alexander Wang, however no longer available. J.Crew has a very similar pair in stock here for only $90! Her sweater is by ALLSAINTS and also sold out, but I linked some similar styles at a variety of price points below. Her bag is Altuzarra and an old style, but this is an updated version of it this season! Finally, you can still shop her exact Manolo Blahnik pumps in black suede here. PHOTO CREDIT: AMIR HUSSEIN/GETTY IMAGES.